SINGLE BED RICK AND MORTY DUVET COVER SET. ONE SINGLE BED DUVET COVER. DUVET COVER SIZE: 137cm x 200cm (Approx). PICTURE FOR ILLUSTRATION USE ONLY COLOURS MAY SLIGHTLY VARY. MACHINE WASHABLE. SET INCLUDES. 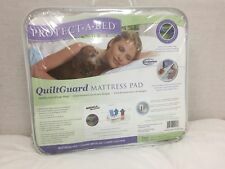 Extra Large King Size Pillow Protector Qulited Zipped Closure 50cm x 90cm. Size: 47cm x 90cm approx. Quilted with zipped closure. This pillow protector is designed to fit your extra large pillow perfectly. DOUBLE BED RICK AND MORTY DUVET COVER SET. 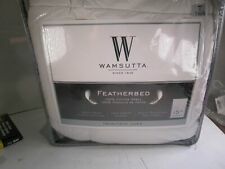 ONE DOUBLE BED DUVET COVER. DUVET COVER SIZE: 200cm x 200cm (Approx). PICTURE FOR ILLUSTRATION USE ONLY COLOURS MAY SLIGHTLY VARY. MACHINE WASHABLE. SET INCLUDES. 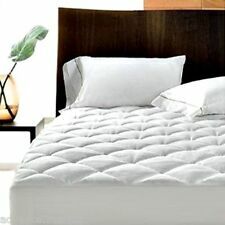 1 X HOLLOWFIBRE MATTRESS TOPPER FOR 63" X 78" (160cm x 200cm) BED. 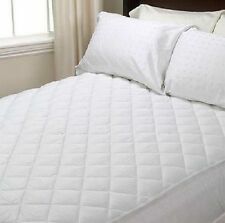 200 Thread Count Percale Quilted Mattress Protector. SIZE - EMPEROR. 200 Thread Count Percale (50% Cotton Percale / 50% Polyester) Cover & Skirt. Inhibits the growth of both bacteria & fungi to preserve long lasting hygienic freshness. 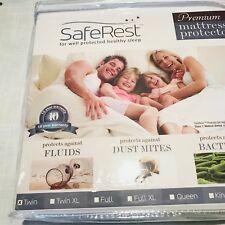 SafeRest mattress protectors are well known for their premium protection against dust mites, fluids, urine, perspiration, allergens and bacteria. This has made them especially helpful for those with kids, pets, allergies, asthma or incontinence. Up for sale is a Serta Perfect Sleeper Triple Protection Mattress Pad Twin-7. Twin mattress pad. Waterproof Backing quietly protects mattress from spills and stains. SafeRest mattress protectors trap dust mites, allergens and skin cells on the surface of the protector where they can be easily washed away during suggested quarterly launderings. 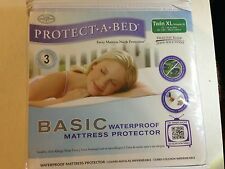 SafeRest Premium Mattress Protectors Provide Undetectable Protection for You and Your Family. Super absorbent cotton towelling. Terry towelling fabric, 80% cotton 100% waterproof backing 20% polyester and 80% cotton. Complete Four way Protection Terry Towel Waterproof Fitted Sheet Mattress Protector Luxury Bed Pillow Cover. 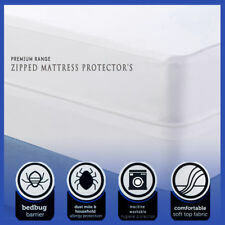 Available in all sizes, fits any mattresses upto 12"
SafeRest Premium mattress protector, twin. -Waterproof protection. -Machine washable. -Great for asthma, incontinence and eczema sufferers. This thick poly cotton pillow protector is certain to provide you with all the extra comfort for a better night’s sleep whilst protecting and prolonging the life of your pillows. The protector has a blended cotton cover and are filled with an ultrafine polyester.